Can anyone explain to me how I can maintain my Christian faith in the light of evidence that many other saviour stories from even more ancient religions have exactly the same episodes as many from the gospels, most remarkably the three days between death and resurrection? 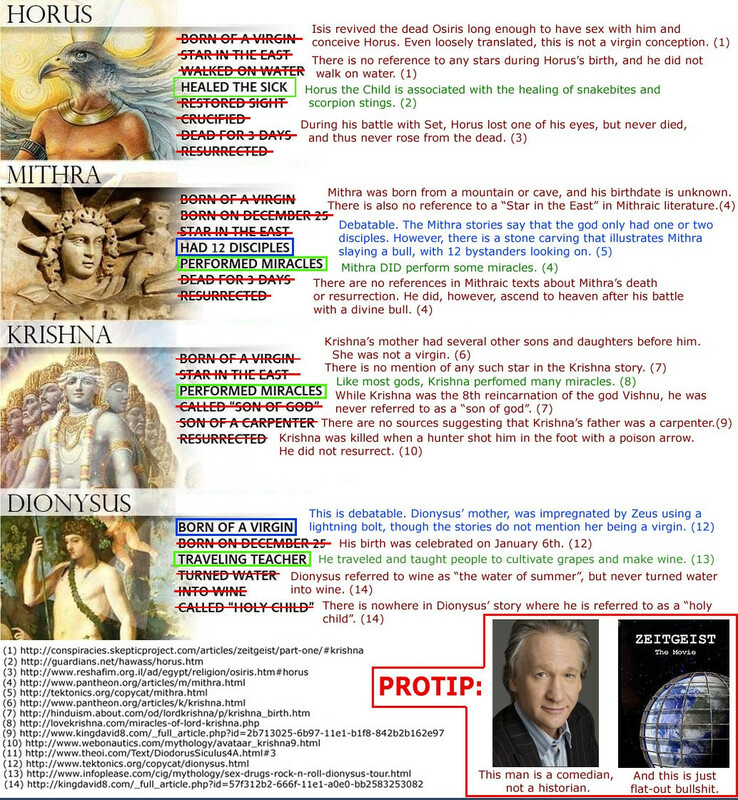 The claim is that Jesus, along with the Hindu's Krishna and mythological figures like the Egyptian god Horus, Greek Dionysus and Roman Mithra are versions of Pagan sun worship. In the Northern hemisphere, the sun's zenith suspends its move across the horizon for three days at midwinter. The theory is that this is the origin of Christ's time in the tomb, moved to Easter perhaps to coincide with the Jewish passover. When the sun "stops" I am told that the three stars of Orion's belt point directly at the sun. This is said to be the origin of the three wise men. How can the Christian articles of faith that Jesus was both a historical figure and the son of God who died for our sins stand up against this theory that he is instead the sun of God? Horus cannot equal Jesus, one reason is that Horus stands in no chance compared to Jesus on morality. becoming the lord of the underworld. Did Jesus' disciples believe Jesus was God or a prophet? Was Jesus obligated to answer the High Priest that he was the son of God? If Jesus always was Fully God of Fully God, why do we speak of him dying? If Jesus was God, then why did he pray? Lazy o in English… SUN or SON?